Three paintings by the American Modernist Georgia O’Keeffe which have been deaccessioned by the Georgia O’Keeffe Museum in Santa Fe, New Mexico, will come to auction at Sotheby's in New York this November. And, surprisingly, while two of them, A Street (1926) and Calla Lillies on Red (1928), will be in the contemporary art evening sale on 14 November, the third, Cottonwood Tree in Spring (1943), will be included in Sotheby's American art auction on 16 November. None of the works are, as yet, guaranteed. The Georgia O’Keeffe Museum also deaccessioned Jimson Weed/White Flower No. 1 (1936), which made headlines when it set a record for any work by a female artist, selling at Sotheby’s in May 2014 for $44.4m—triple its high estimate. In comparison, the three lots for sale this November are modestly priced and together are expected to bring in upwards of $21.5m to benefit the museum’s acquisitions fund. In an official statement, the director of the Georgia O’Keeffe Museum Robert A. Krets says: “Removing an artwork from the collection is never an easy thing for any museum to do, but it is an integral part of good collections management to continually build and refine our holdings.” He adds that the three works at Sotheby’s were selected to deaccession after “very careful and thoughtful consideration”. Of the three at Sotheby’s, Calla Lilies on Red is the only flower painting—for which O’Keeffe is best known—and is expected to make between $8m and $12m. 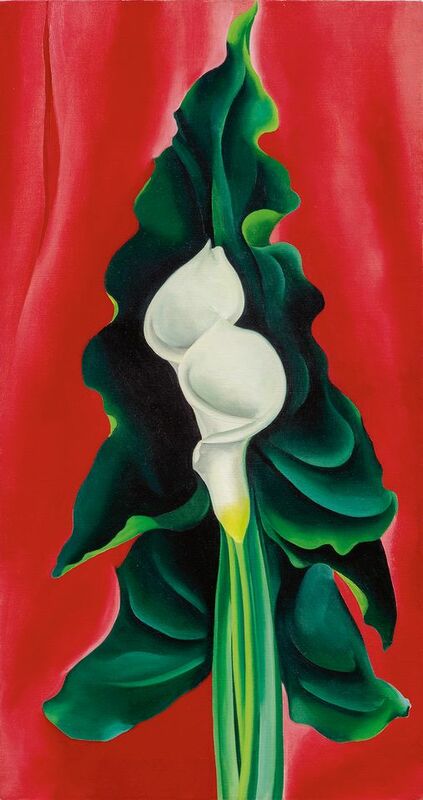 Prior to the sale of Jimson Weed, the record for an O’Keeffe was set by a similar work, Calla Lilies with Red Anemone, when it brought in $6.2m at Christie’s in 2001. 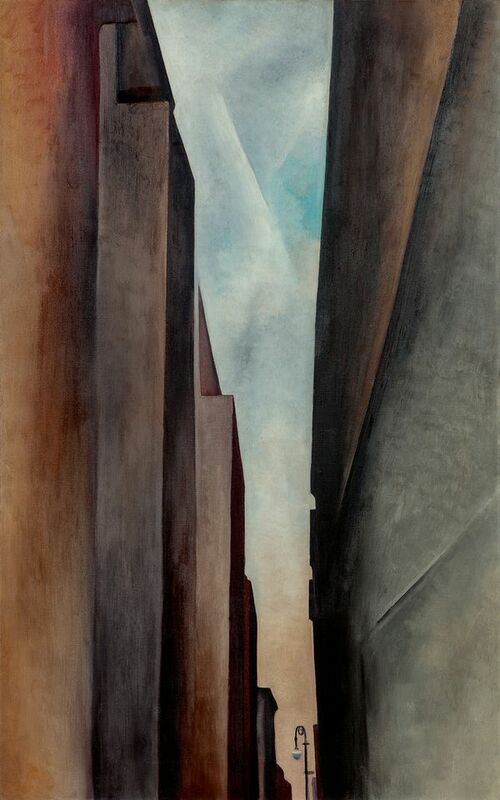 A Street, a muted and angular New York City scene by the artist, is valued at $12m to $18m. The decision to include the work along with Calla Lilies in this year’s evening contemporary sale rather than its Impressionist and Modern auction stems from a desire to spark “dialogues between O’Keeffe’s work and that of artists spanning the 20th and 21st centuries,” says Grégoire Billault, the head of Sotheby’s contemporary art department in New York. 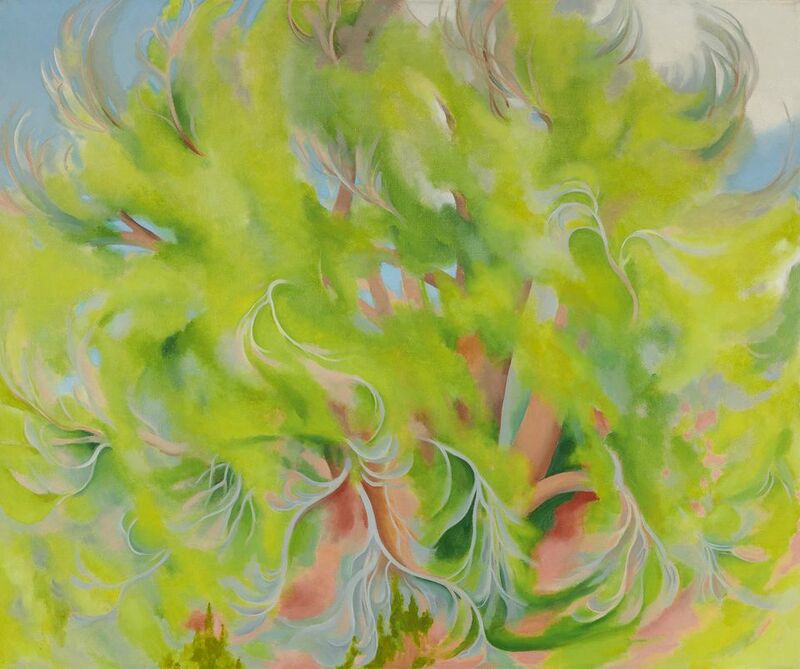 Though considered part of the artist’s Southwest-influenced oeuvre, Cottonwood Tree in Spring is a lush, semi-abstract foliage study. With a high estimate of $2.5m, it will be included in the auction house’s American sale. The three paintings are on view this week in Sotheby’s Los Angeles galleries before heading to SITE131 in Dallas’s Design District, then to Sotheby’s New York from 2 November.